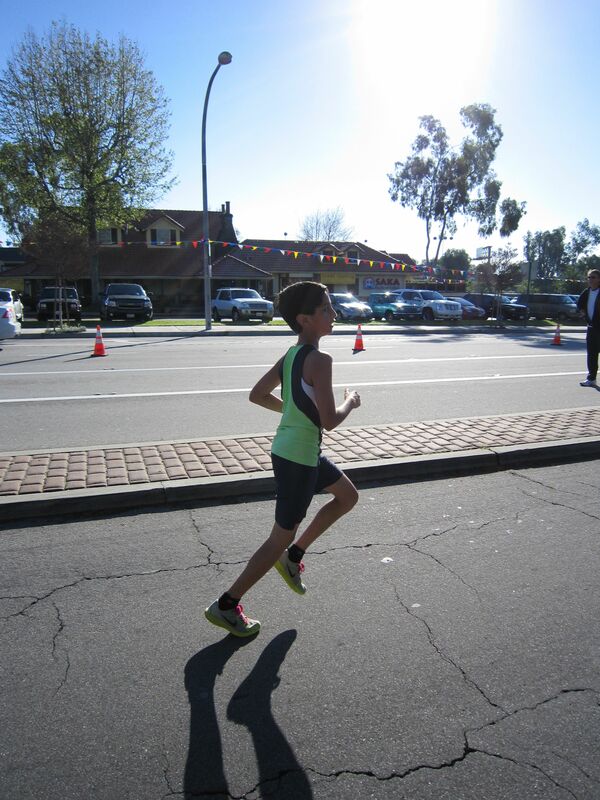 Annika had a 5K race in Fountain Valley. What started out as a sunny day turned into an all out downpour. 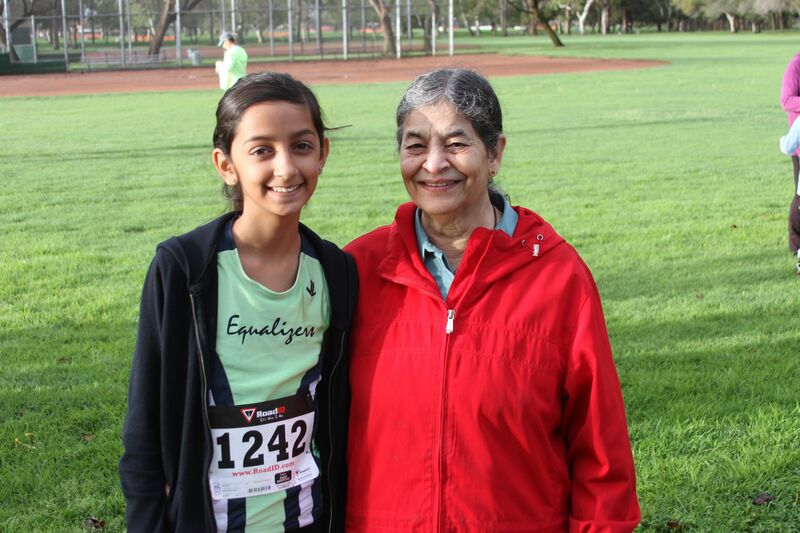 Here are Annika and Mom just before the race started. 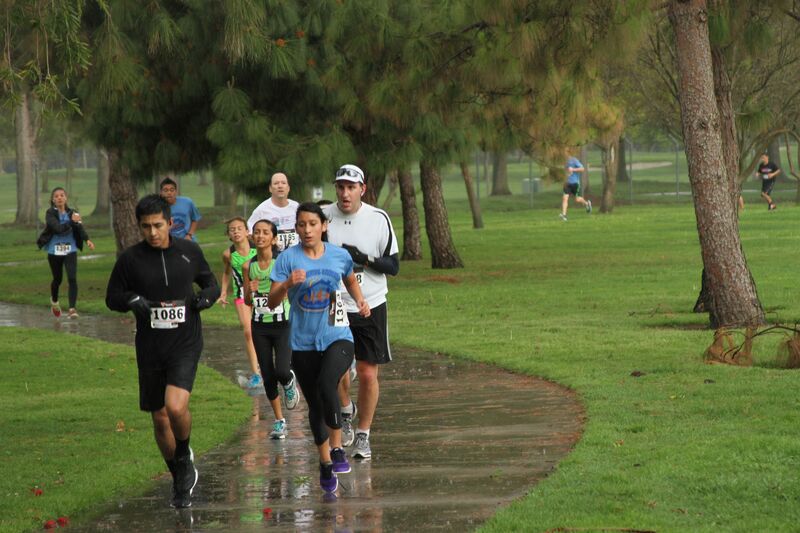 Less than half an hour later, Annika’s race started and it began to rain. 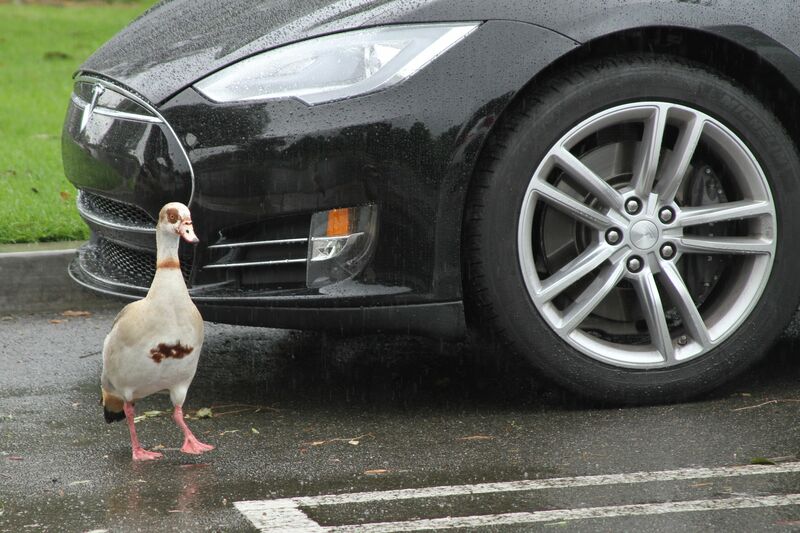 Here’s a duck enjoying the rain. 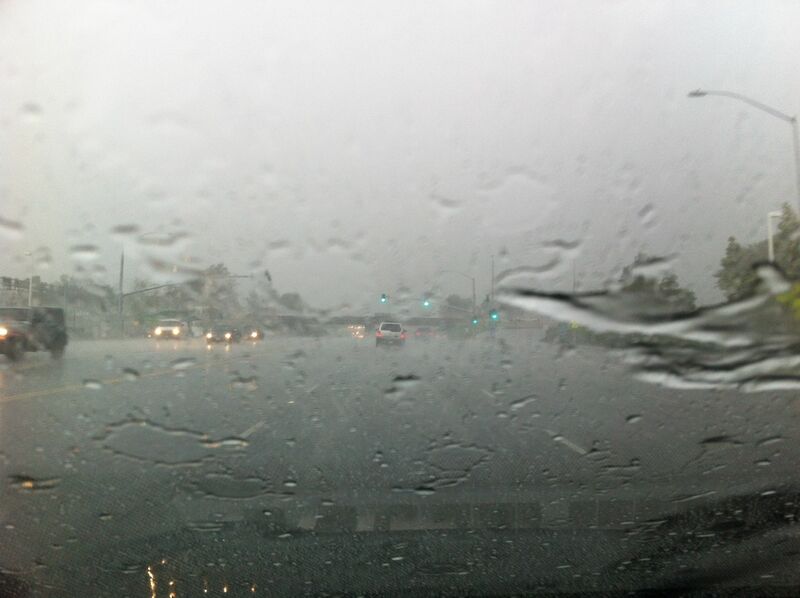 This was the hardest rain in a year. The storm has dumped more rain in 3 days than all of last year! Annika started the 2013 Track season with a couple of events. 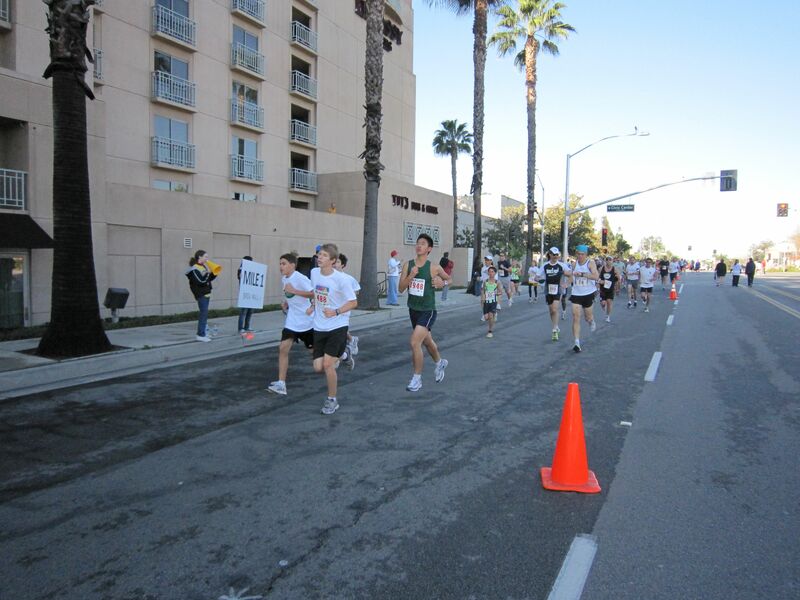 The first was the Timberwolf 5K in Irvine. 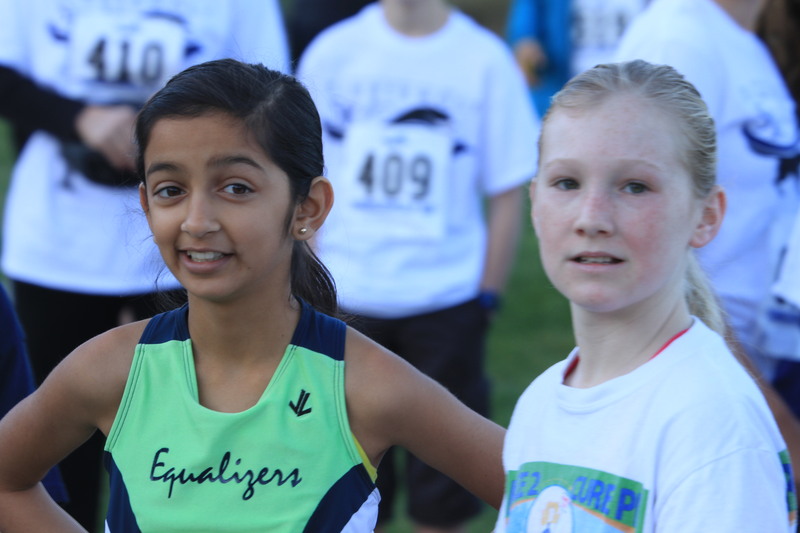 Here she is with her running buddy Natalie before the race. Here she is running with the big boys! She got a 21 something for her first 5K race of the season. 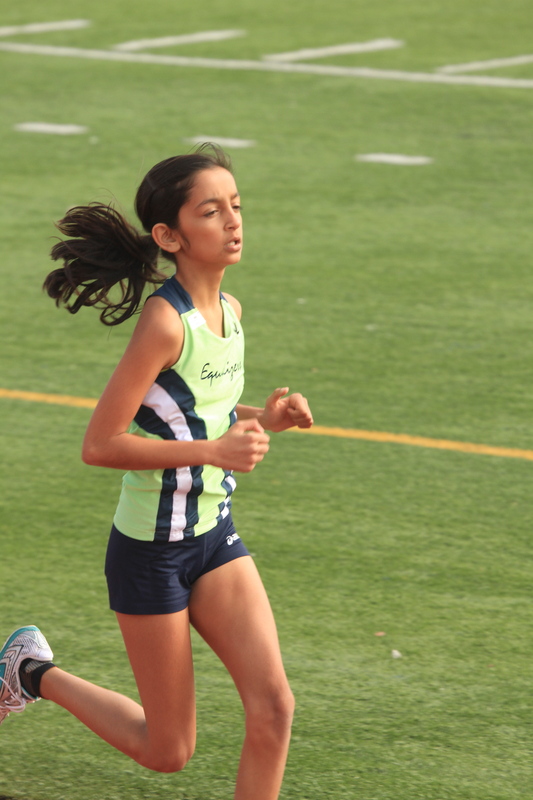 Last weekend we went to Chino Hills for a race and she got a 5:54 in her first 1500m this season. Only about 10 seconds off her pace from last season. 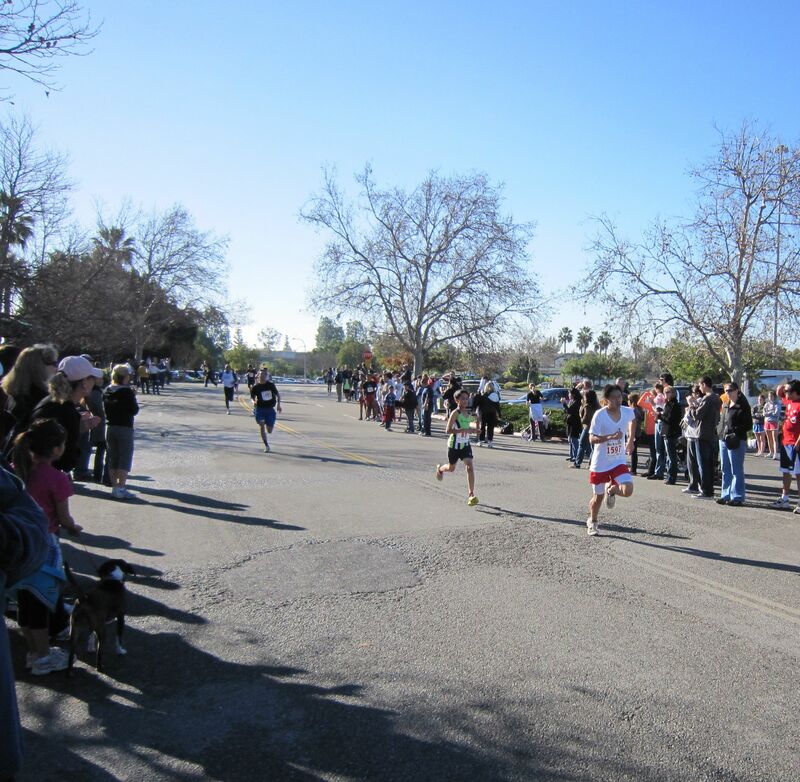 Nikhil ran in the Brea 8k last weekend. This is the longest race of the season at 5 miles. He achieved a stellar time of 34 minutes flat which is almost a minute faster than his time last year and a pace of 6:50 per mile. I wish I could do even one mile at that pace! Here he is at the 1 mile mark at 6:30. The back half of the course has some hills which slowed down the pack. Here he is towards the finish line still running with good form. 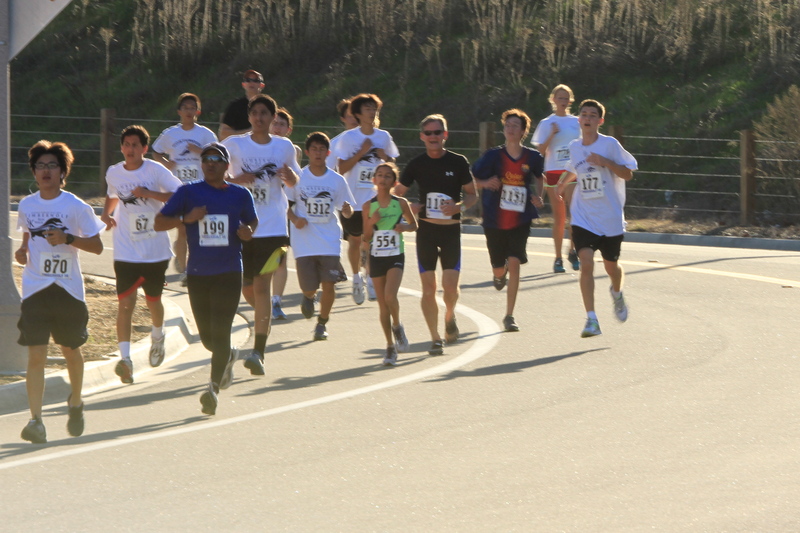 After the race, the kids got to enjoy Jamba Juice and a whole lot of post race food including CPLK and the Melting Pot! Yesterday we went to practice at Foothill high school. The miles are getting easier. The kids did 1 mile of warm up laps and then we either go out running for an additional 3-4 or work on running techniques. The coach timed all the kids on a straight flat dirt trail. Nikhil did a 3:14 half mile which is a huge improvement from when we started just 4 or so weeks ago! A few more weeks and he should be in the 2’s. Here is the team – lots of younger kids! Nikhil is the third boy from the left. Coach Jerry is on the far right facing the kids.